A former motor cycle racer and hill-climb specialist. Louis was a garage owner from Clermont Ferrand. 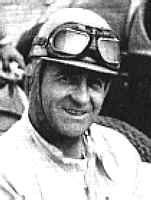 During practice for the 1956 Coupe du Salon Rosier overturned his car in pouring rain, and suffered severe head injuries from which he died three weeks later. He was posthumously awarded the French Order of the Nation.